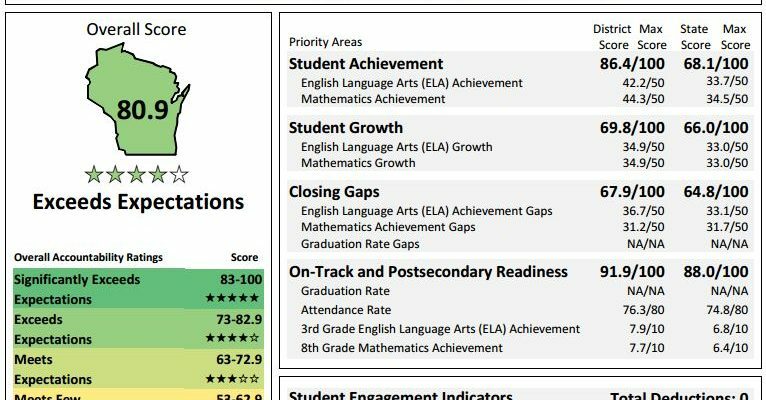 The 2015-16 school and district report cards were recently released. I am posting the top portion of the report cards below. 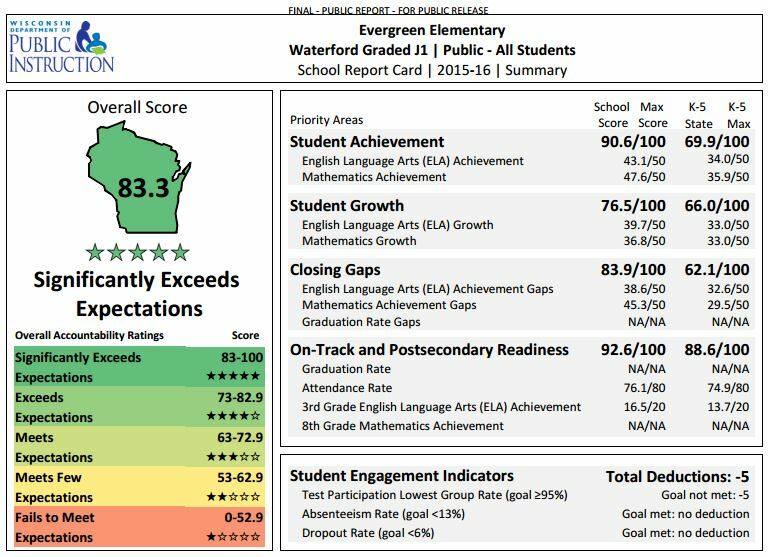 Click the report card to view the full document with school information, explanation of terms, and year-to-year comparisons. Note that many changes were made to the 2015-16 report cards and year-to-year comparisons should be viewed with these changes in mind. View the DPI FAQ on the 2015-16 report cards for more details. There are many ways to evaluate student performance that are not attempted to be evaluated with this reporting method. Regardless, these amazing results are an indication of the awesome work and dedication by our students, school staff, families, and supportive Waterford community. Schools are listed alphabetically after the WGSD District report card.